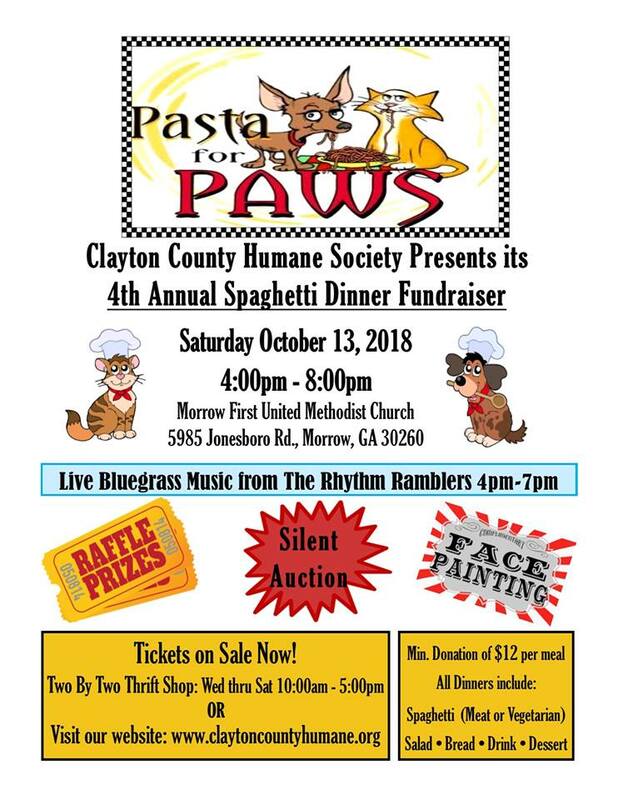 Pasta For Paws 2018 Is On The Calendar! « Two by Two 5th Anniversary Open House and HUGE yard sale! Our 4th annual Pasta For Paws dinner has been confirmed and preparations are already underway! Please join us on Saturday, October 13, 2018 for great food, wonderful fellowship, and lots of fun for the whole family! Our first three Pasta For Paws events have been great successes, and we have high hopes to make the fourth one even bigger and better, but we will need all of YOU to make that happen. PLEASE PURCHASE TICKETS AT THE DINNER.